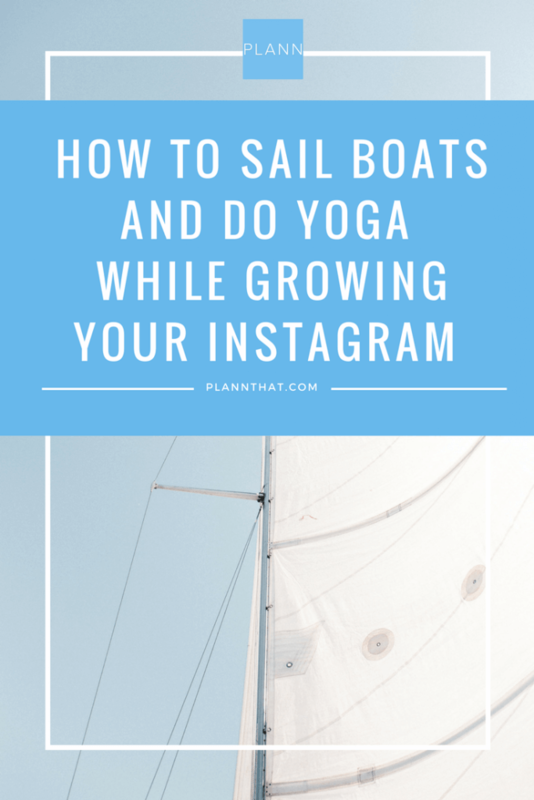 Sailing, tanning and doing yoga while growing your Instagram and living your dream lifestyle sounds pretty fantastic, right? But what if we told you that it’s not only possible but that there’s someone out there who’s actually doing it? Meet Ashleigh Bridget, AKA @thesailingyogi, and discover the story behind her successful life as an Instagram influencer, yoga teacher and travel lover. 1. What made you quit your previous job and seek out your current (pretty damn good) lifestyle? It was a very emotional time in my life, but the cusp of it was that I just desperately needed change. I loved the company that I worked for but the role I was in provided me with very little stimulation or room for growth. It got to a point where I felt like my mental health was suffering so I took a huge leap of faith and, with a little pool of savings in the reserve, I left. As cliche as it sounds, I haven’t looked back. While I was so grateful for this job as it gave me financial stability and I had the support of a really great team, I realized that I was born into an amazing time in the world and I wanted to make the most of it. BRILLIANT TIPS ON HOW TO BECOME A SOCIAL MEDIA INFLUENCER. 2. Wi-Fi can be a pest; do you have Wi-Fi issues out on boats? If the weather permits, I try to plan the anchorages we stay in around Wi-Fi. I have a portable Wi-Fi device I take out with me too, as I find this is sometimes a little stronger than just phone coverage. Luckily, it hasn’t been a huge issue yet, and I know the spots around the islands where you can get reception, so I make the most of them when we’re there. 3. Do you recognize yourself as a micro-influencer? I don’t know. I know that my Instagram is very niche, but I don’t know how much influence I have. If anything, my Instagram has opened up avenues for me locally to create content for businesses which fit with my brand and from there, more and more opportunities are opening up for me in the world of content creation and digital marketing. If your app could talk it would roll its eyes at me! I am very OCD with the details of my feed and spend just as much time curating it as I do creating the individual posts. The blues can’t be too similar. I can’t have too many aerial shots in a row, and not too many similar details like rocks, etc. The feed can’t look too staged, either. Wow, I am OCD! Ha ha. 5. Do brands who want to collaborate reach out to you, or do you reach out to them? No, I have reached out to every company I have worked with, and I only reach out to companies who’ll enjoy mutual benefit — so in the realm of sailing, island, ocean etc. There are many companies that choose to ignore me when I reach out, but then there are other companies that have been very appreciative and receptive to working together. HOW TO BE A SUCCESSFUL LIFESTYLE BLOGGER: TIPS & TRICKS. 6. How do you get an income from a lifestyle Instagram account? I have done a few collaborations for Contra but am now able to charge for posts I put up on Instagram and my blog. Sometimes, these companies also ask for images for their websites or socials, which I am happy to give. 7. You must be taking photos all the time, but how do you know which ones to upload? Because my Instagram is very curated there are a lot of photos I take that don’t even get a look in! I try to keep it to ocean/coastal or blue-themed. Sometimes I upload a photo that might not necessarily be anything special by itself, but it gets a look in because it works well with the feed. It’s just finding a balance between being consistent and working with in the parameters of the style I am slowly becoming known for. 8. What is your top tip on how to combine a beach and boat lifestyle with work? Find something you can do remotely. I am a yoga teacher and when I teach classes I obviously have to show up, but I also work freelance and contract myself out to companies in the realms of digital media and marketing. Which means a good chunk of it can be done from my laptop anywhere at anytime. This allows me to make the most of good weather windows and be flexible with my hours. Also, wear hats! Sun damage is real, kids! 9. How much time do you spend on your Instagram and blog each week? When I first left my 9-5 and created the blog I was (embarrassingly) spending on average 4 hours on Instagram a day — and that is not including the time it took to create the content! Now that I am working more, I spend maybe 30 minutes – 1 hour a day on Instagram and anywhere from 3 to 20 hours on blogs, videos or education. 10. Last but not least: Where do you see yourself in five years? The idealistic Ashleigh wants to answer with “traveling around the world on a sailing boat and vlogging about it.” But the reality is, I am a very passionate advocate for small businesses utilizing social media in a clever way. 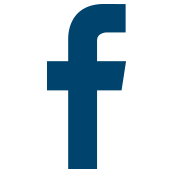 I think social media is under-utilized and underrated by business owners, and I would like to be in a position where I can provide value to companies by educating them on social media and digital marketing, as it’s changing the way all businesses operate and if they don’t evolve they’ll get left behind. 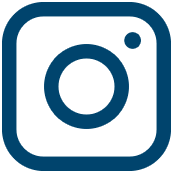 Growing your Instagram can be challenging. But you know what they say, nothing worth having comes easy. Ashleigh Bridget is the perfect example that all dreams can become reality as long as you’re willing to work for what you want. For extra motivation & inspiration, make sure to follow Ashleigh on Facebook, YouTube and Pinterest. P.S. : Don’t forget about Plann – the perfect tool to help you plan & schedule your dream Instagram feed. Download Plann for iOS and Android now! Ashleigh Bridget is The Sailing Yogi, Whitsunday, Australia yoga teacher, content creator and blogger. An avid hat wearer and coffee enthusiast, Ashleigh spends her days exploring the Whitsunday Islands above and below the water on a range of different boats. 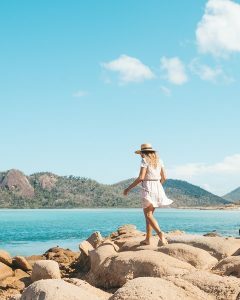 The brand, The Sailing Yogi is emerging as one of the main platforms for Whitsunday holiday inspiration; giving local insights and opinions on tours, places to visit and secret spots. With blogs, vlogs and a killer Instagram, Ashleigh is soon to be delving into the medium of voice (so watch this space).